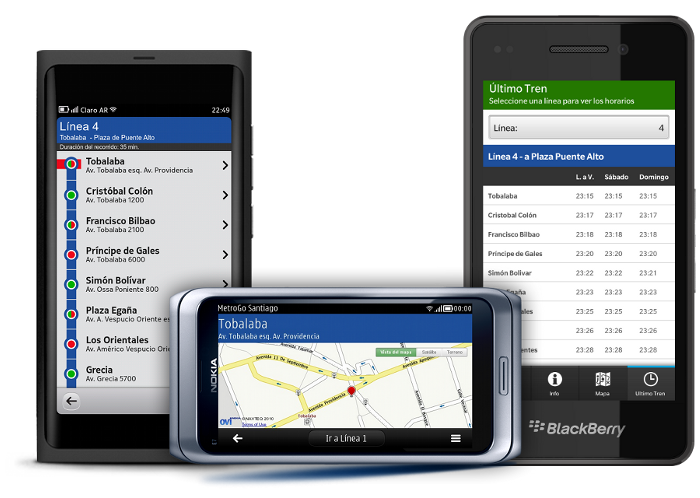 SubteGo is compatible with S40, S60 5th Edition, Symbian^3 PR1.0, PR1.1, Symbian Anna, Symbian Belle, MeeGo 1.2 Harmattan and Blackberry 10. 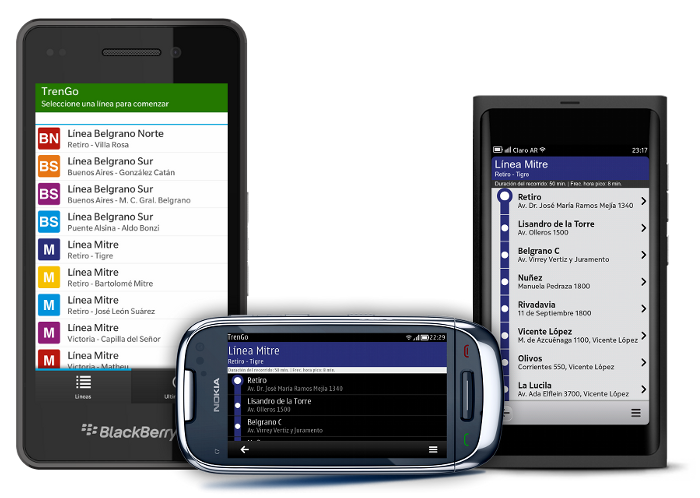 TrenGo is compatible with S40, S60 5th Edition, Symbian^3 PR1.0, PR1.1, Symbian Anna, Symbian Belle, MeeGo 1.2 Harmattan and Blackberry 10. 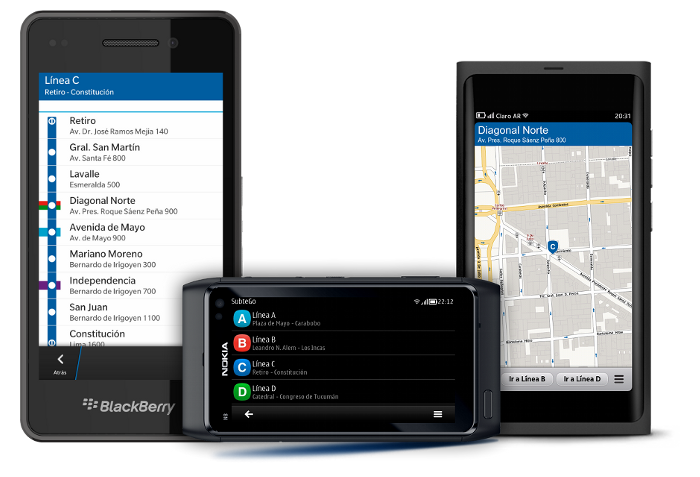 MetroGo Santiago is compatible with S60 5th Edition, Symbian^3 PR1.0, PR1.1, Symbian Anna, Symbian Belle, MeeGo 1.2 Harmattan and Blackberry 10.